This is one of those tools that we look at each other asking “Why don’t we already own this?” It’s great for jobsite use, but with all the cordless tools we have, we just don’t have a need for one very often. The Honda engine offers a reputation for high quality and it will run for 13 hours at 50% load on its 8-gallon capacity. While the Kohler enCube did keep my refrigerator/freezer running enough to avoid losing food, this is just one place where a battery-powered option is a far cry from gas. Most of the trees we lost were oak. While my Makita XCU03 was a workhorse, a sharpened chain on day two would have been welcome. They can be as simple as a file system or as complex as an electric system. Obviously, you’ll need a hand or cordless system for post-storm cleanup since there’s a good chance you won’t have power. This is all about comfort once the power goes out. You can use a small window AC unit and pick a room to cool down – like the master bedroom. Units are small enough to run them on a portable generator, but you’ll need something with more muscle than an entry-level 2000-watt model in most cases. A 6000-BTU unit will take care of a single room up to 250 square feet while drawing around 1750 watts from your generator. 5000-BTU units start in the $130 range and this model runs $179. I’m on day 6 without power and it seems like a pretty good investment at this stage. The Kubota L47LTB offers a front end loader bucket for pushing and clearing debris while the backhoe can help clear or create drainage ditches to let the water out. In the city, it’s all about getting the fallen trees out of the road so utility workers can get in and get to work faster. Out in the country, there’s the same problem, but you also have a lot more property to clean up and drain. And if you have animals, there’s sure to be fence repair that needs to happen quickly. 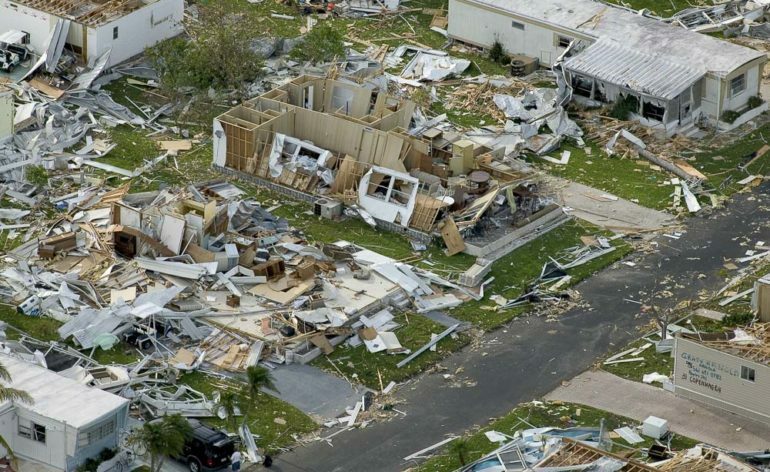 So when it comes to storm preparation, there are definitely some tools we wish we had after Hurricane Irma to get our properties and our neighbor’s back up to par more quickly. The bottom line is always safety and since each of us at Pro Tool Reviews, our families, and our neighbors escaped injury, it’s a win. But you can bet we’ll have a few more tools ready to go before the next one hits. —This article first appeared on ProToolReviews.com and was written by Kenny Koehler, the managing editor.